Hello howcorner.com lovers, in this chance we are going to share an article it is about how to root Oppo Neo R831K easily and without using a PC or a computer, maybe you want it again another method to root hp oppo neo3, perhaps because memory is too full, or want to install applications that need root access, just calm down guys, we will guide you to root your Oppo Neo 3 with a complete and easy to understand tutorial. To ensure whether Oppo 3 neo already rooted or not you can use Root Checker application. We do not take the responsibility and do it by your own self. 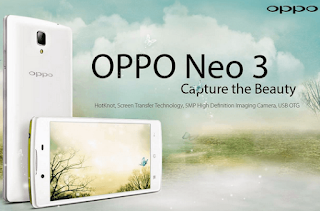 Belum ada tanggapan untuk "Root Oppo Neo 3 R831K Without PC, Work 100%"